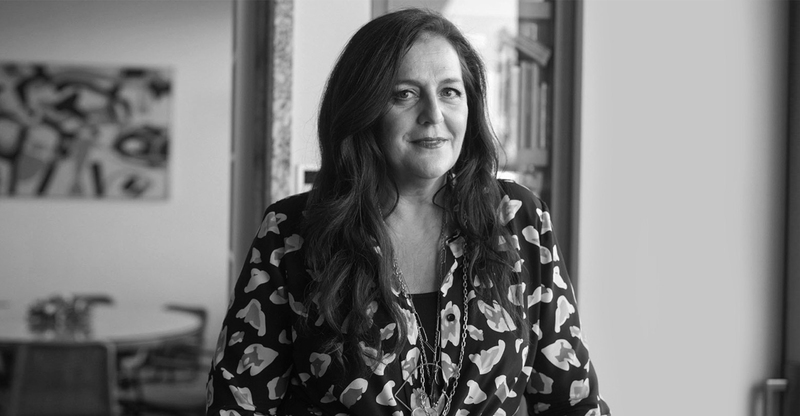 Ms. Missoni, looking back, what were you most naïve about when you took the helm at Missoni? I think I’ve never been naïve. I mean, Jean-Paul Gaultier, John Galliano, Helmut Lang, Jil Sander… That was talent that I would have never ever thought would disappear! I grew up with some myth that this was impossible — that they were something important. The game has totally changed! The luxury world came in, and we’re affected by globalization and huge markets and a lot of money. Today, there are big powerful houses that started paying so much to get the talents — any kind of talents, from a hairdresser, to a makeup artist, to a designer, even in advertising. How did you deal with that at Missoni? Well, we are a small company compared to them, so I always had to be a talent scout, I had to go and find fresh new talents because I could never afford it otherwise! When I took over, Missoni was a bit of a classic. We had a good business, but it was not that fashionable thing that it used to be in the past. And my mother was feeling tired — she was bored! She felt a bit trapped, left alone to fight that war against the commercial side. Exactly. I always had a good eye — that’s the quality I have. Mert and Marcus, they did their first campaign for me when I needed to communicate through images because I didn’t have the strong power of advertisements. But I started to see too much digitization around me; too much of something that I thought was getting too far from my vision of life, of who I am. So I needed to communicate the value of the company, that we were a company with a heart and our product will have heart. And that there were three generations involved! We are not a marketing product, we are real. That’s when I did the campaign with Juergen Teller with all the Missoni family. Does the involvement of the entire Missoni family ever get in the way? Not a very capitalistic mindset. Do you feel the same way about the company now? Oh God, the commercial side is still the thing that I want to change the most! I would love to find commercial people that have a vision, that look to the future — because people who just know what they sold yesterday, they’re not needed. I would like to see enthusiasm from everyone, on every side of the company! People who are tired, they can leave and do another job. If you want to work in fashion you need to have that enthusiasm for it and you need to keep a fresh eye. Is it true that you initially rebelled against the idea of joining the company? I wonder if your daughter Margherita feels the same way now working with you? And so the tradition carries on. Well, fashion is something you have to do when you’re young, you’re passionate and you have the strength to fight for your own ideas, against the commercial side of the business. I think I still have a lot of things to do for the company. Since my first day when I started to work at Missoni I was feeling like I was fixing things, because it was already an old company 20 years ago! (Laughs) It’s very rare to find a designer that really invents a style. And my parents did! So I think it’s a label that can stay. It has a lot of history. I said “we,” right? That’s something I realized lately, I always said, “we.” The feeling is that I really appreciate my past, it’s very important. And I do find a lot of inspiration, even though I never did research straight from the archive, because I always had everything in mind. But when I say I never lean on them, it’s because it’s not enough. You always have to look forward. Those roots might give you the strength and the force, they’re very powerful and inspiring, but you have to look forward, you cannot live in the past.